Deformed daisies spotted near Japan's Fukushima province where a disastrous nuclear power plant meltdown took place in 2011, have sparked new worries of radiation-induced mutations. But not all experts think contamination has affected the flowers. The city of Nasushiobara is well over 100 kilometers from Fukushima and reported levels of radiation in the area remain normal and suitable for living. However, here is a photo taken by a Japanese Twitter user @san_kaido of several flowers with obvious abnormalities. Ecomodernist Mike Shellenberger, president of the Breakthrough Institute, says the flowers could be displaying a phenomenon called fasciation, which is nothing new for daisies. He presented a number of cases unconnected with the Fukushima disaster, in which unnatural-looking and twisted shapes as a result of hormonal imbalance were evident. Although pictures of deformed ‘Fukushima vegetables’ appear over the web here and there quite regularly, botanical abnormalities happen all over the world quite often and certainly have nothing to do with the Fukushima disaster. Nevertheless, locals in the Fukushima province have registered a number of mutations of insects and animals. Environmentalists warn that many areas still show radiation levels 20 times exceeding the globally accepted limit. At the moment, it’s impossible to clear the Fukushima area of radiation fallout, Mycle Schneider, independent international analyst on Energy & Nuclear Policy, told RT. “What we can do is reduce nuclear contamination in some of the areas by washing objects with water and taking off soil,” Schneider said. Hundreds, if not thousands of tons of radioactive water has leaked into the Pacific Ocean from Fukushima NPP since the catastrophe, and the biological effects on the ocean’s ecosystem have yet to be studied. The devastating Fukushima Daichii Nuclear Power Plant meltdown in 2011 occurred because of a 9-magnitude earthquake that shook northeastern Japan, followed by a disastrous tsunami. 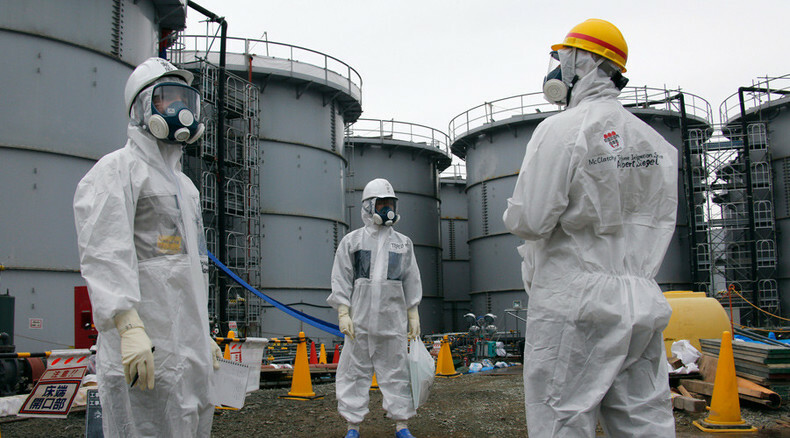 As a result, three nuclear reactors at the Fukushima plant went into meltdown.